Here is our newest addition to the floral designs available for cross-country shipping on www.marksflowers.com just in time for spring. We call it Purple Passion. 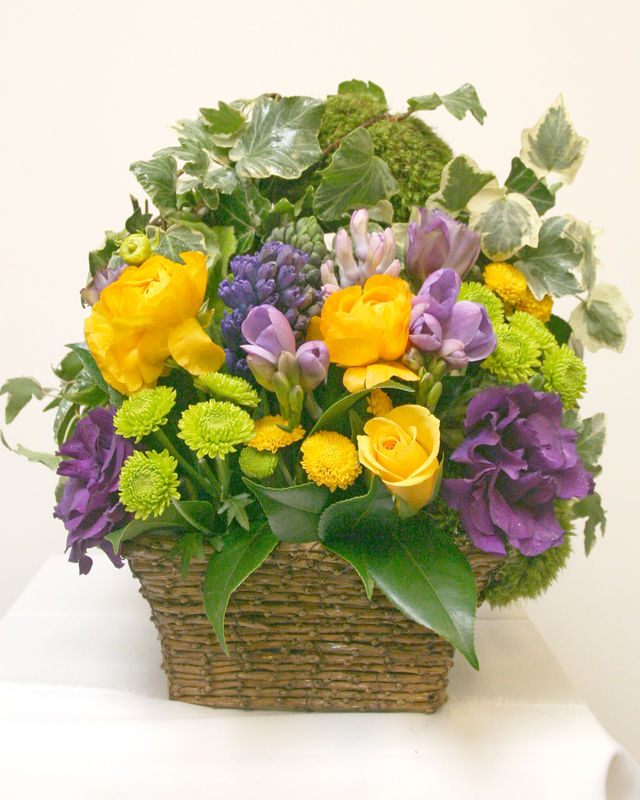 Purple and gold toned spring flowers, including hyacinth, lisianthus, freesia, roses, and button mums are packed into our classic rustic basket. The basket handle is decorated with moss and laced with ivy. Our longtime clients love the idea that they can treat family and friends outside of our delivery area to beautiful Mark’s Garden flowers like they enjoy here in Los Angeles. Take a look at the Mark’s Flowers website and see some of the other designs that are available right now for shipping by FedEx across the United States. 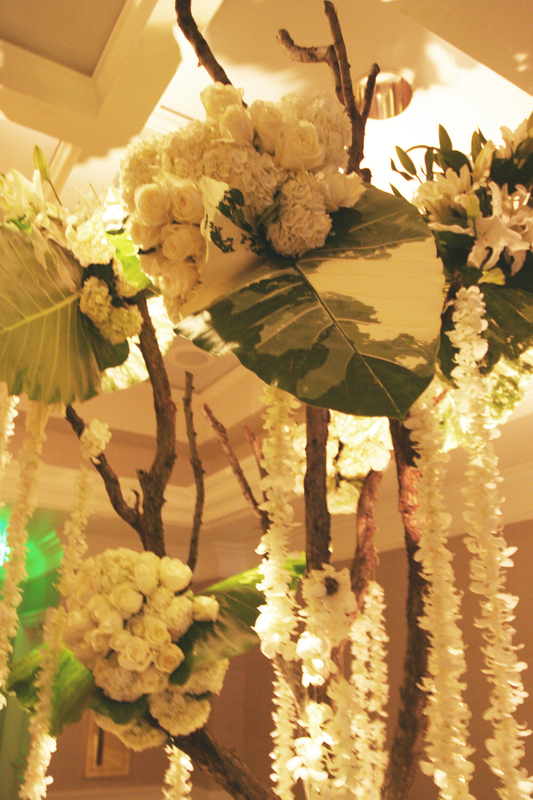 Mark’s Garden teamed with Mindy Weiss this past weekend on a truly original and dramatic wedding design. 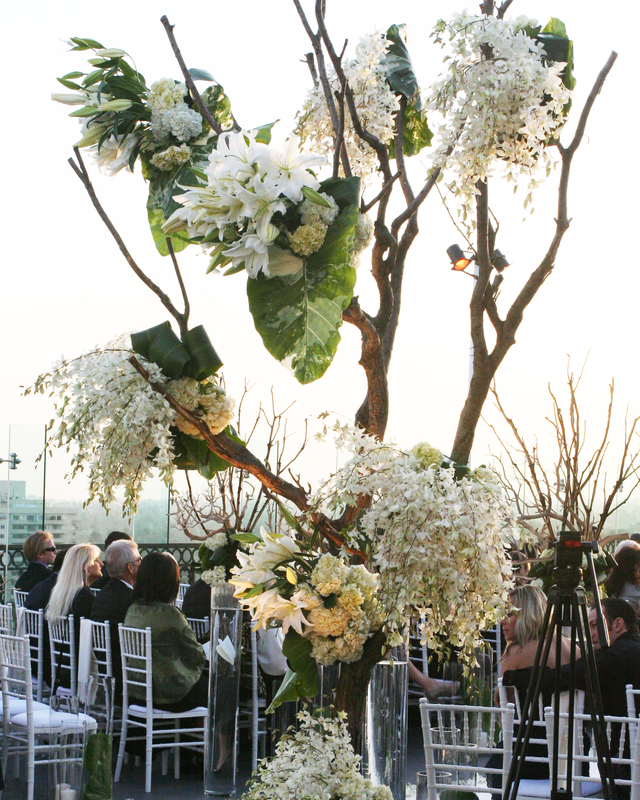 It was a gorgeous afternoon as the sun set on the rooftop of the London Hotel in West Hollywood for the ceremony with the guests gathered among tall constructed trees adorned with clustered masses of white orchids, Casablanca lilies and large tropical leaves. 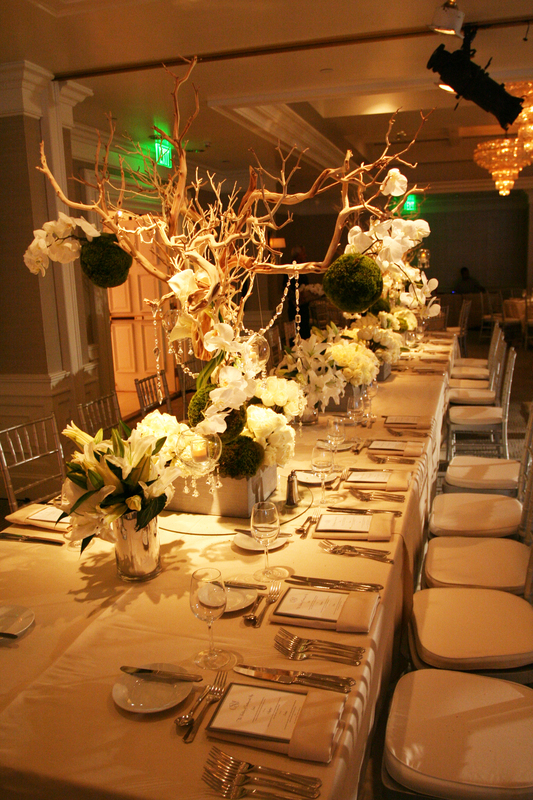 In the ballroom, the reception décor repeated the same visual theme with the addition of white roses, phalenopsis orchids, moss balls in varied sizes and hanging candles. Very contemporary and chic and dramatic. 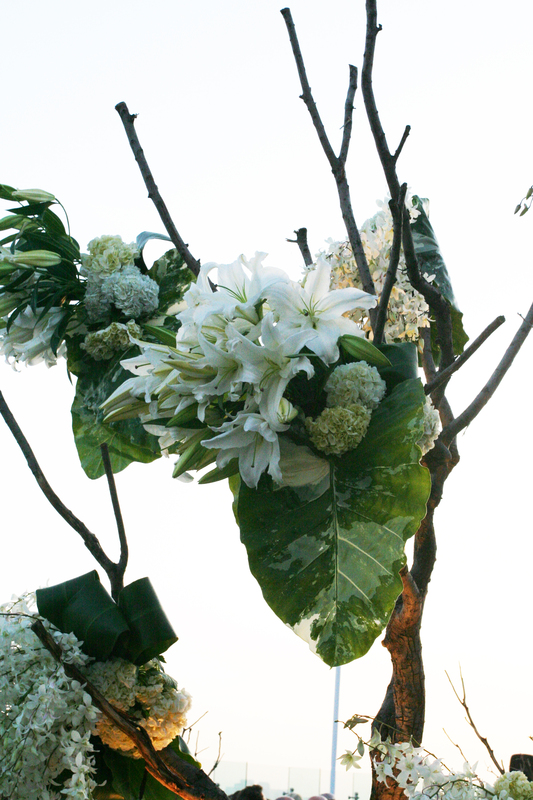 Mark is making an appearance on The Knot website on Tuesday to talk about bridal flowers. Have a budget. Be upfront with your vendors on exactly how much you can spend. Make sure that you are listening to your florist, but also that they are listening to you. Select a venue that is already beautiful and needs only a little enhancement. Don’t skimp on the bridal bouquet. Boutonnieres should be simple and small. 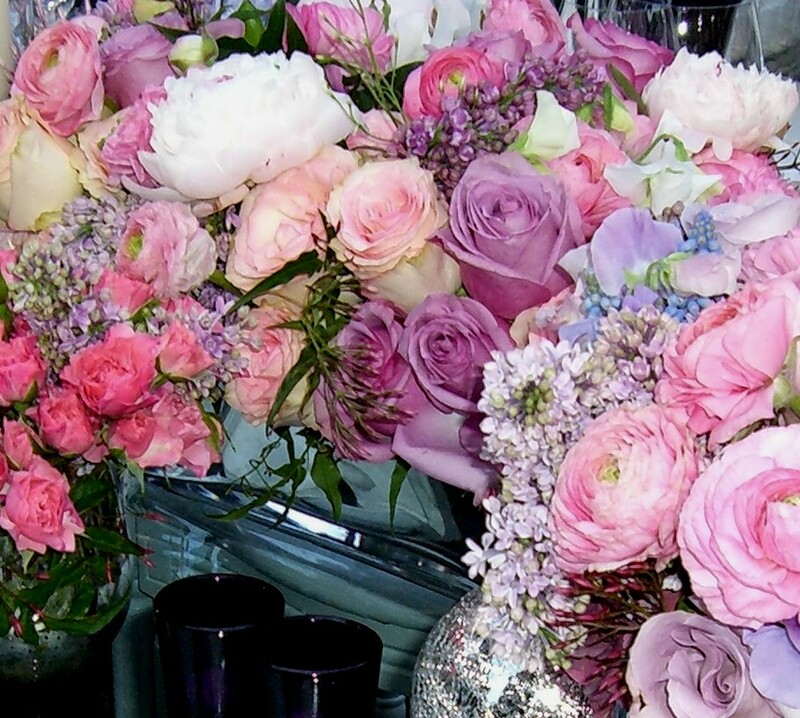 When selecting flowers, stick with one or two colors. Be flexible on the types of flowers you want. Keep in mind that certain flowers are seasonal. Save money by mixing tall floral arrangements with several low ones. 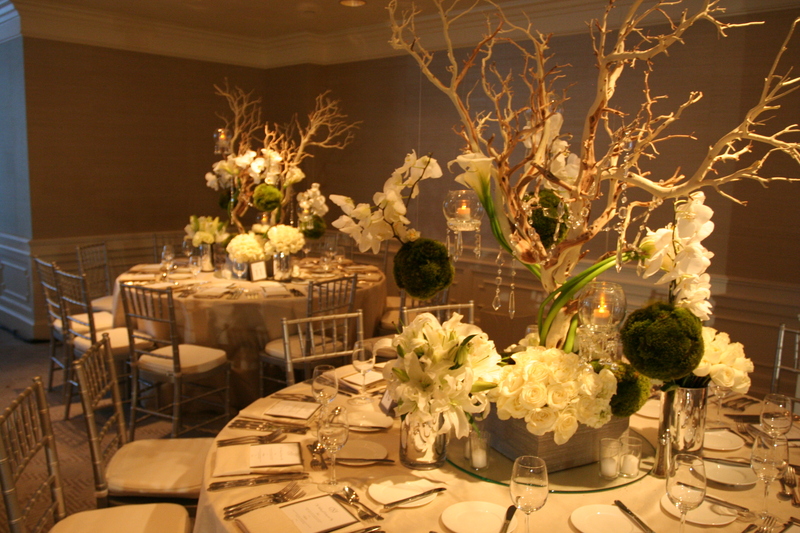 Incorporating lots of candles with the centerpieces can stretch your budget. Put your dollars where they show. 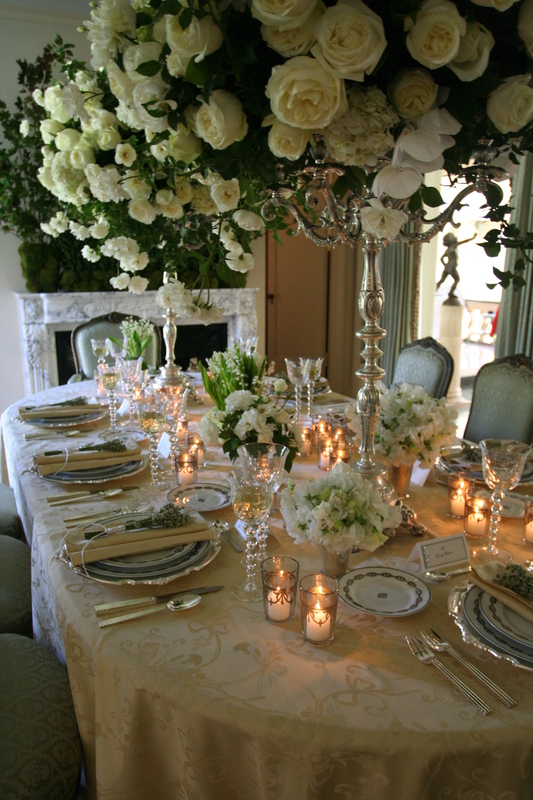 Limit floral arrangements on cocktail tables, in the powder room and aisle decoration. Don’t cut back on ceremony flowers, which will show in the wedding photos. 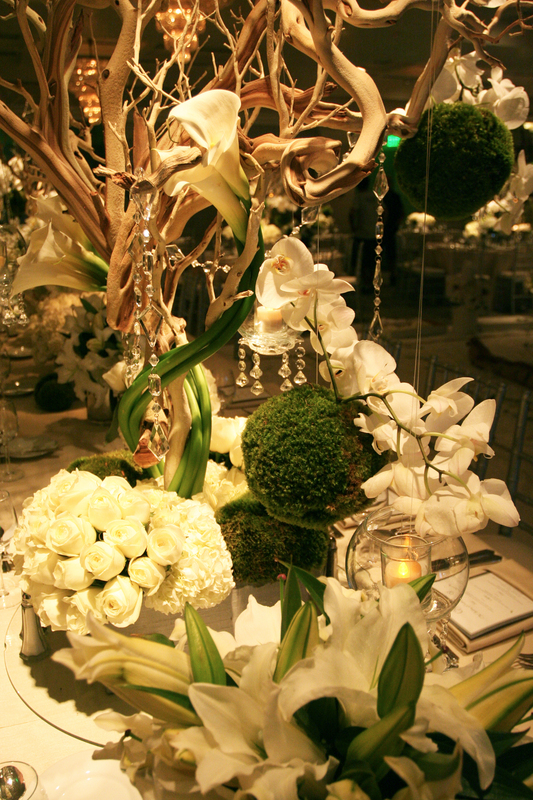 When thinking about the wedding’s overall design, you can never go wrong with a clean classic look. Today’s trend is a return to classic elegance. 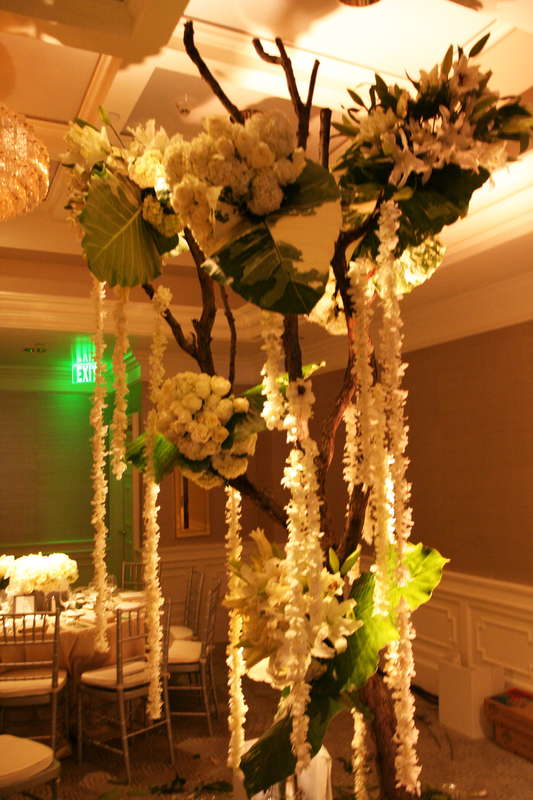 Floral décor wedding trends include larger rather than smaller blooms; glass containers and groups of flowers rather than mixing everything together. Fashion Institute of Design and Merchandising (FIDM) is presenting their Debut 2010 Runway Show this weekend with a black tie Gala Saturday night. The designs from the graduating students are sure to be exciting fun as will the by-invitation-only evening at Barker Hangar in Santa Monica. Purple and lime green are the floral centerpiece colors. Mark made a quick stop on the red carpet to talk to Tanika Ray on TV Guide Network on his way up to the ballroom at Hollywood & Highland for a final check of the floral décor for the Governors Ball. 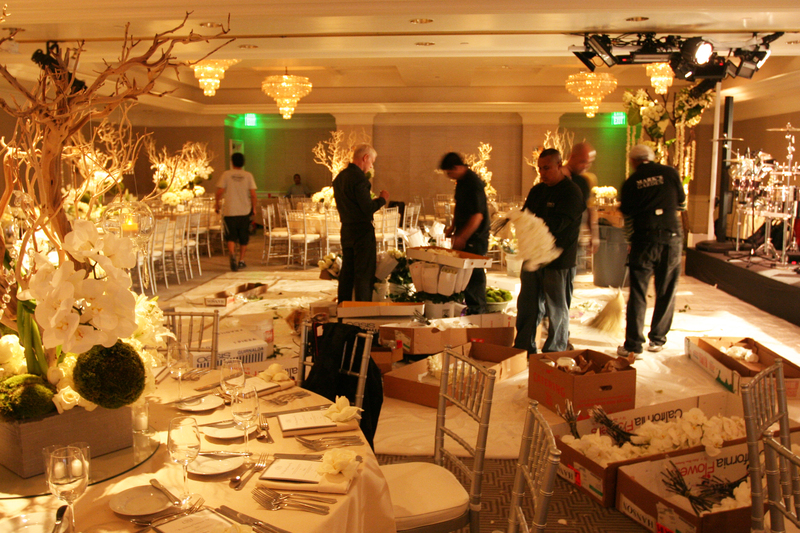 The room looked great and we were especially happy with the last minute addition of tall sprays of magnolia branches which swooped up from the tables toward the gracefully contoured ceilings which were installed specially for the event. 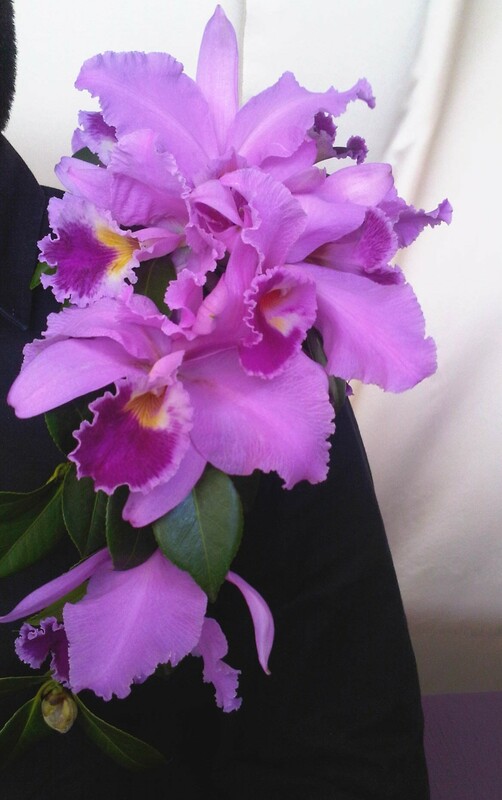 We designed a fabulous shoulder to wrist corsage of purple catalaya orchids for the lead singer of the all-female band that provided music for the night’s entertainment. Whether one won an Oscar or not, the Governors Ball was the place to be Sunday night. A festive and exciting weekend of parties this is. In addition to the Academy Awards Governor’s Ball, the weekend kicked off early with a party at the Beverly Hills Louis Vuitton store roof top for Glamour Magazine, then an Alice in Wonderland themed party at Disney and several fun private Oscar viewing parties. Also watch for Mark on the red carpet at the Academy Awards on Sunday when he drops in on the TV Guide Network “Oscar Countdown Show” around 12:30 p.m.
A video crew from KTTV’s “Good Day LA” arrived at Mark’s Garden this morning to watch the early preparations for the floral centerpieces we are creating for the 2010 Academy Awards Governor’s Ball. 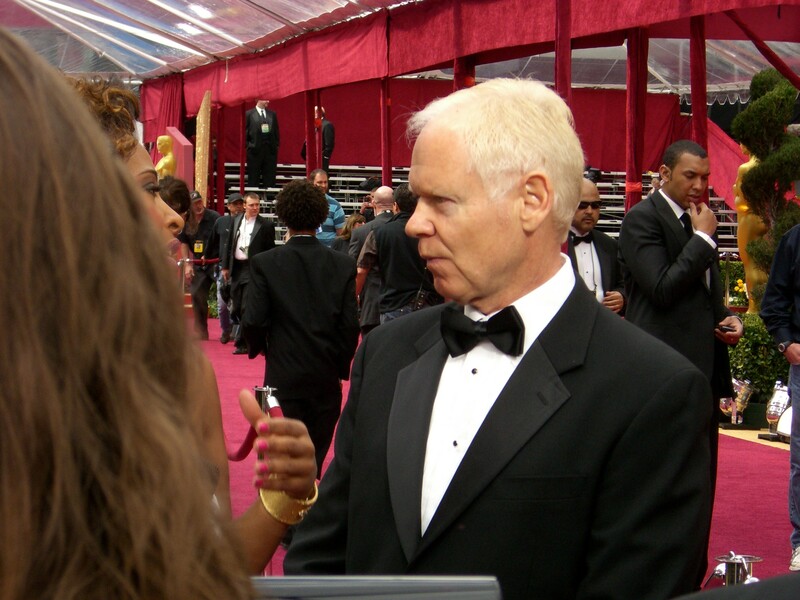 Reporter Suzanne Marques interviewed Mark live to talk about it while the KTTV camera captured some of the behind-the-scenes activity. After being promoted on fashion runways the last couple of years, purple seems to be the big color at the moment. The Fashion Institute of Design and Merchandising is featuring purple on their table tops for their gala event at Barker Hanger on Saturday March 13th. 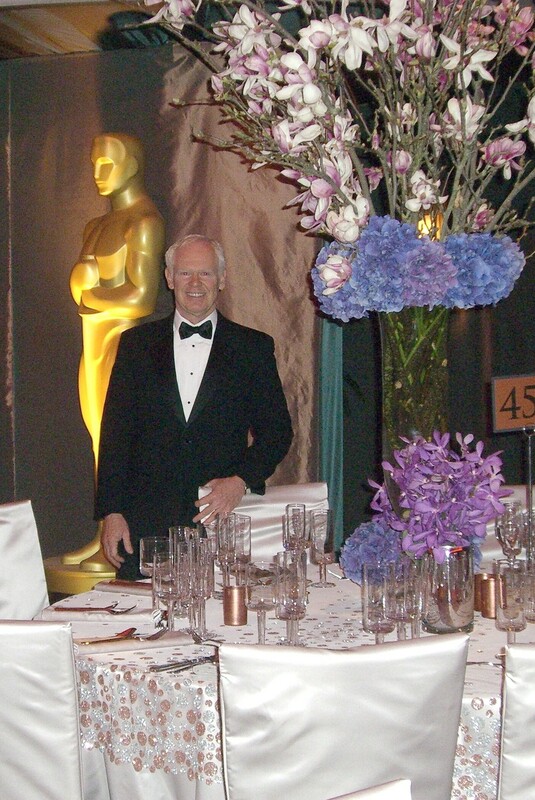 And the Academy Awards Oscars Ball highlights purple in its room décor on Sunday March 7th. More and more clients seem to be attracted to purple in their floral pieces as well. 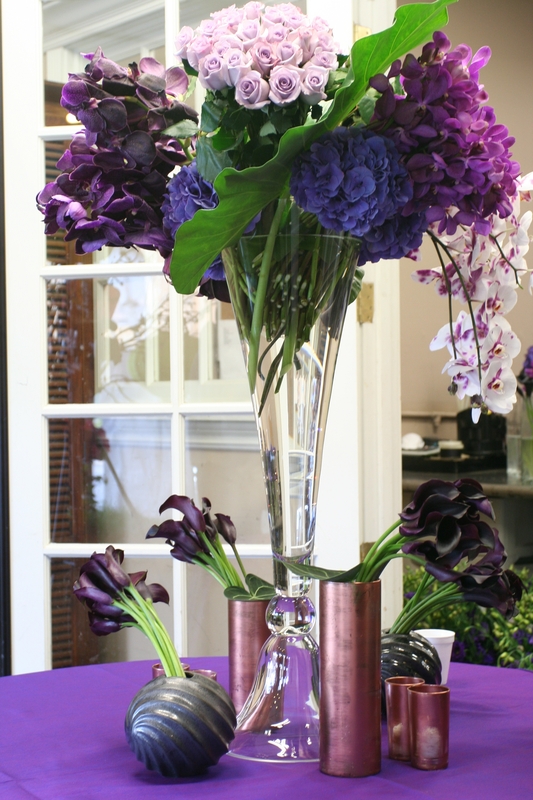 The tricky thing about using purple in floral arrangements is that it often works best when mixed with other colors. Purple hues in shades ranging from pale lavender to deep violet can be gorgeous and subtle. Often, however, larger settings may demand a little more punch by using a bright contrasting color to set it off. 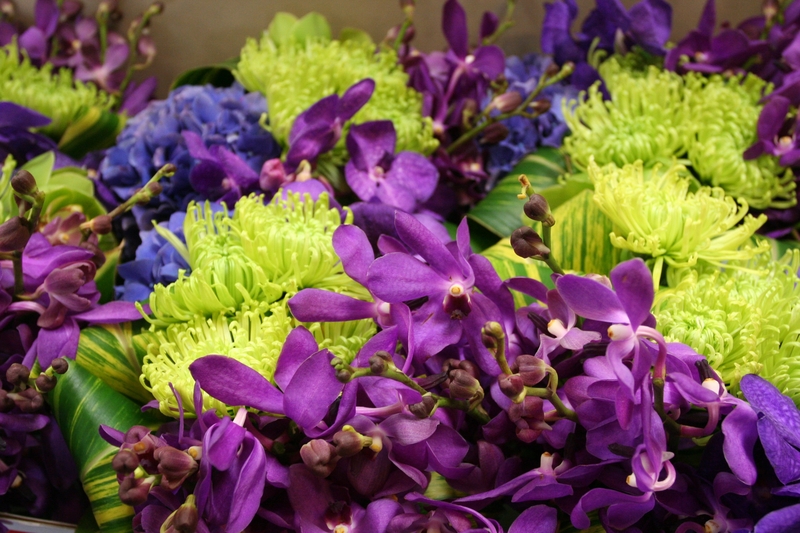 In the case of FIDM we are using brilliant lime green orchids and spider mums to heighten deep purple tones. For the Oscar Ball, we are using accents of hot orange and minimal yellow and setting it off with copper table top elements. 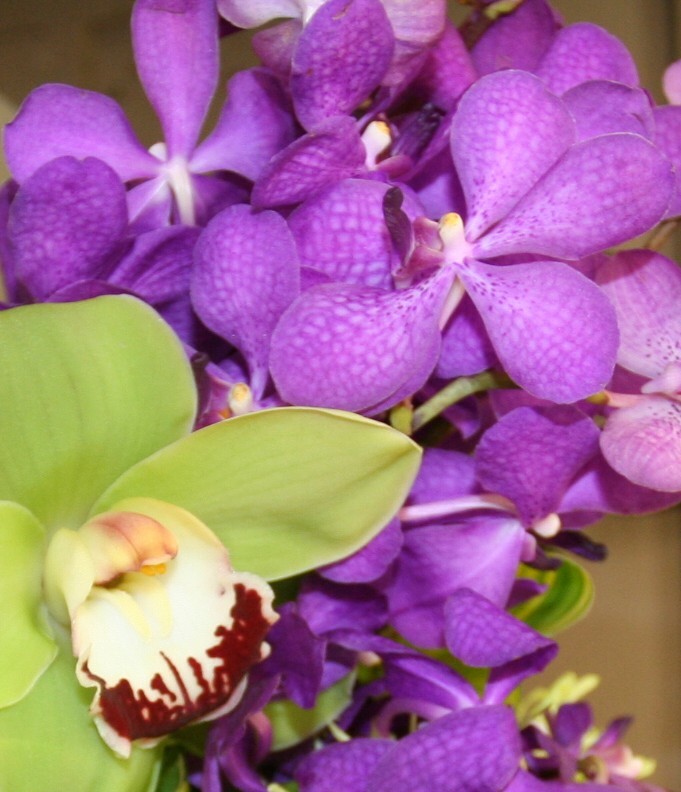 These days there are more purple toned flowers available than ever before, including new varieties of orchids, roses, hydrangea, lisianthus, tulips and dahlias. It’s a great addition to the florist’s color palette.